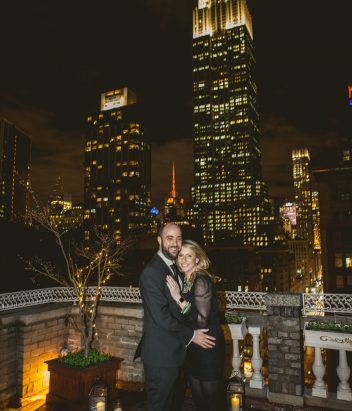 It’s possible to elope almost anywhere in New York, but as an NYC-based company, Dare to Dream carefully chooses the most elaborate and picturesque venues for our clients. 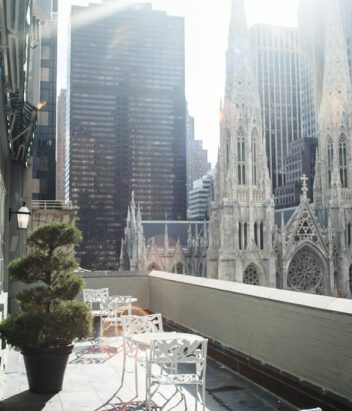 Wedding elopement venues in New York vary from upscale, breathtaking rooftops to private, secret gardens. 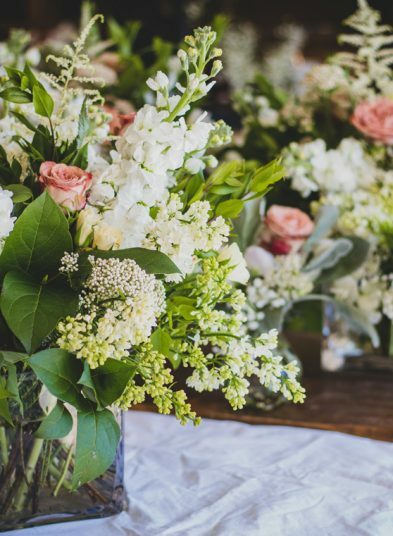 We know how important it is to find a perfect place for the elopement ceremony of your dreams, so our experienced team works closely with each client to secure the best venues this city has to offer. Capture stunning images from your special day with Vlad, our professional photographer. 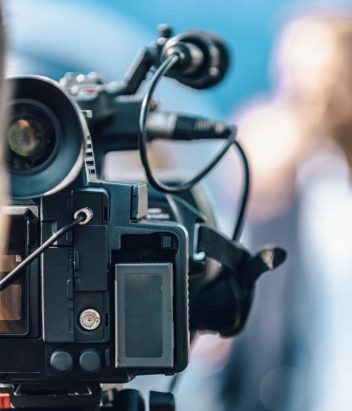 He will discuss the style and mood of the pictures that you want most to provide you with amazing pictures of your wedding. His expert eye and attention to detail are what have made him a famous wedding photographer. What is wedding elopement photography? 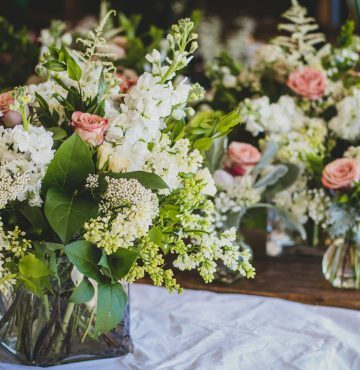 Unlike a big traditional wedding, elopement is more personal and intimate. 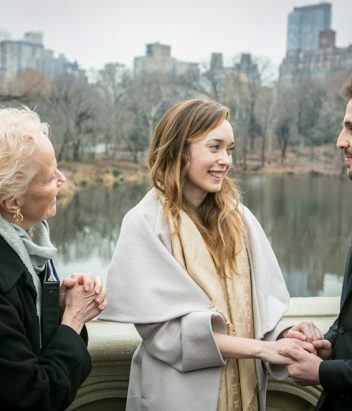 Most of the time, couples won’t even have family or friends present, just the two of them with an officiant. 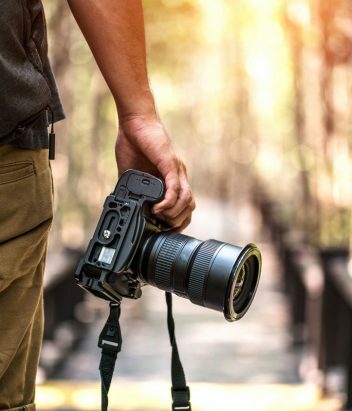 This also makes the photography process faster so the couple can concentrate more on the style of photos they want to have. Imagine, instead of planning a wedding for months and stressing out over guest lists and minor details, you simply enjoy the moment and each other. Eloping gives you more flexibility and time to embrace a unique creative vision. 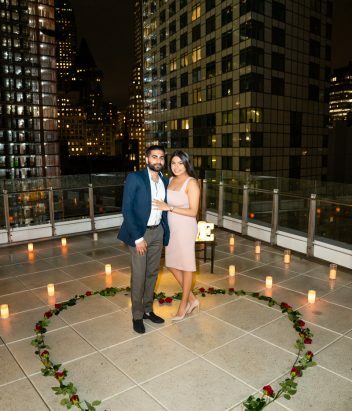 Our professional wedding elopement photographer in New York will work with you in advance to determine your vision and style so your photos will tell the story of the day exactly as you imagine. 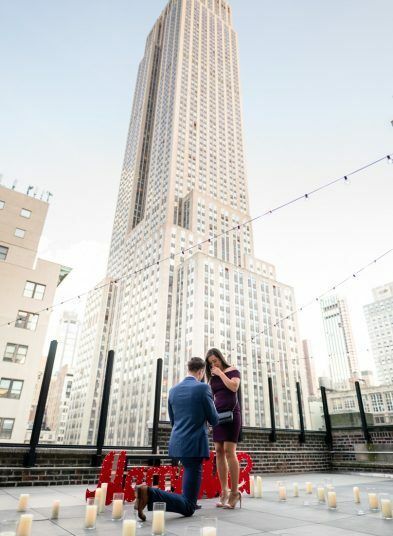 If you’re going to elope in New York City, there are endless possibilities for picturesque locations. 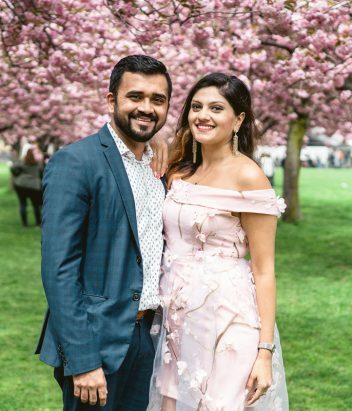 An intimate elopement gives couples a lot of flexibility and mobility, as there’s no need to worry about your guests getting lost around the city. With just the couple and a photographer, it’s much easier to be creative and expressive. If you’re not too familiar with the city, our experienced wedding elopement photographer in Manhattan can recommend many picturesque spots. Maybe you have a vision of street style photos, taken in front of the coolest graffiti walls; we know just the place. 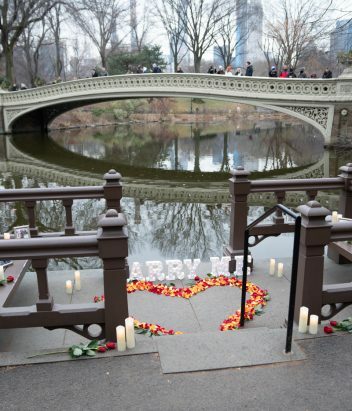 If it’s an outdoor elopement you desire, we know all the hidden spots in Central Park and The High Line. 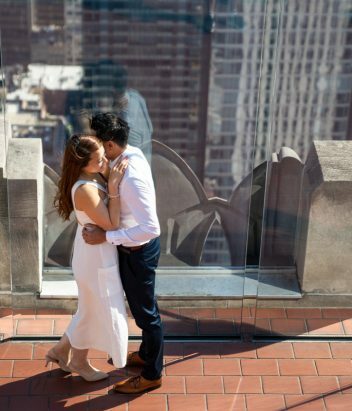 Some of our most popular wedding elopement packages in Manhattan use private rooftops for breathtaking views of the city skyline. 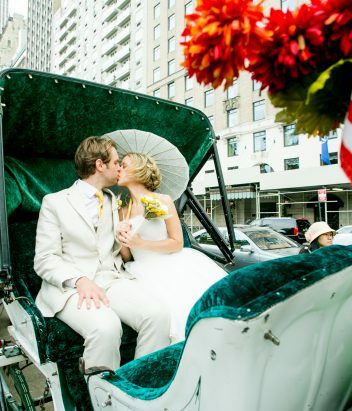 The beautiful, vintage carousel in Brooklyn Bridge Park is one of our favorite wedding elopement venues in NYC. This elopement venue is ideal for couples looking for a fun, playful backdrop. After the ceremony, take candid shots on the carousel and enjoy having the space all to yourself. 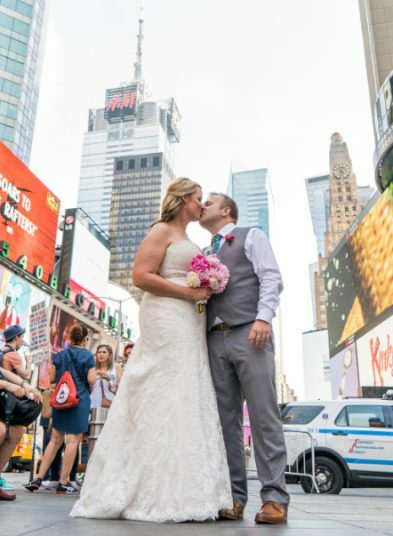 For more wedding elopement ideas in New York, we love helping couples elope at Grand Central Station. 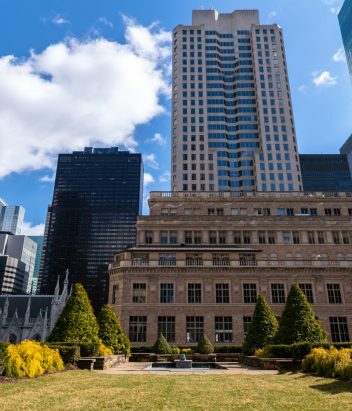 The building’s beautiful architecture and buzzing crowds make it ideal for dramatic, glamorous photos and unique candid shots. 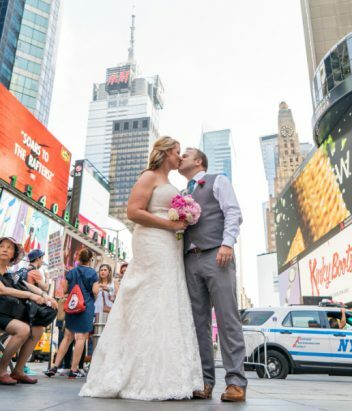 Perhaps even more iconic is a Times Square elopement. 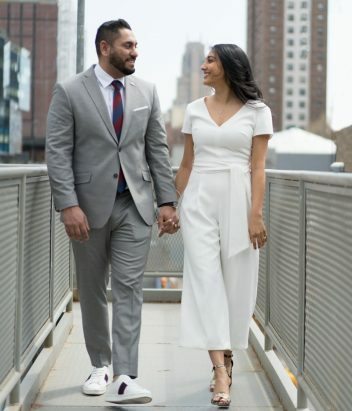 Not for shy couples, this wedding elopement package in Manhattan creates a vibrant, colorful backdrop at one of the busiest places in the city. For creative couples, our team recommends Governor Island’s camping elopement venues. 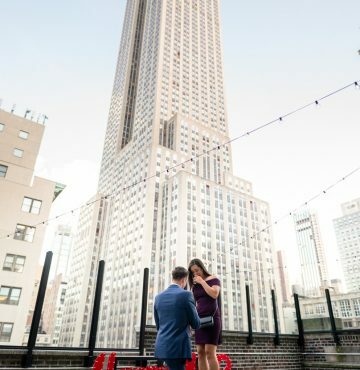 This area is a new and unique place to elope in NYC with the most stunning city view you can imagine. 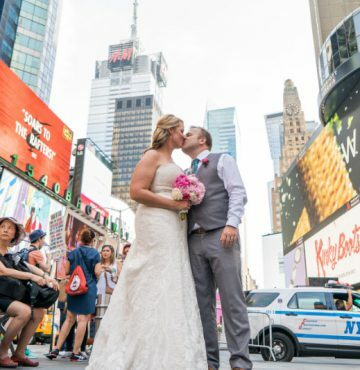 Our experienced wedding elopement photographer can follow you anywhere in New York. 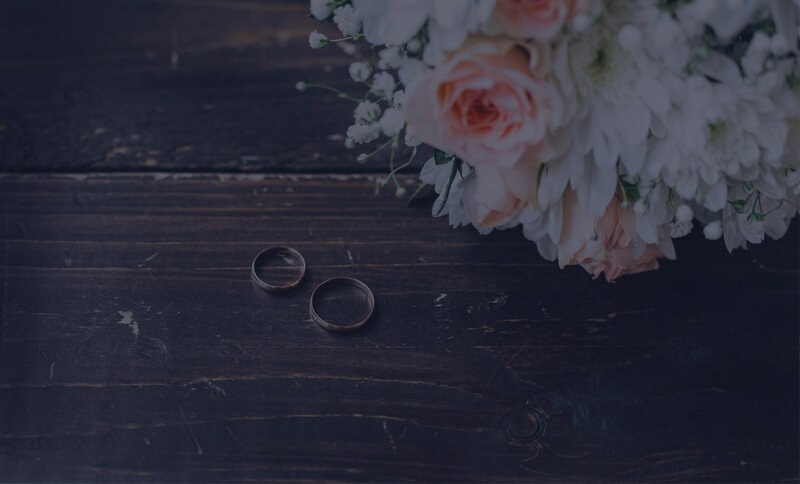 For couples who want to leave the busy city behind, we can recommend many upstate and Long Island wedding elopement venues. 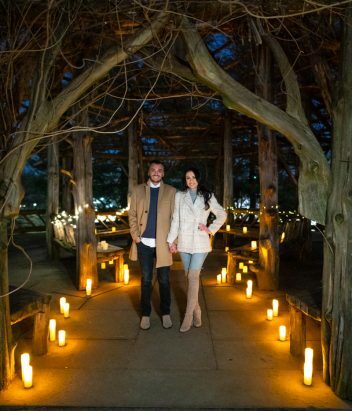 Some of the most popular NYC wedding elopement ideas are the Long Island vineyards and upstate resorts. Just imagine a colorful autumn forest or rows and rows of grape vines as your backdrop. The beauty of elopement is the flexibility and mobility; you can really elope anywhere as long as it represents you and your love. Dare to Dream works with every couple on bespoke elopement photography ideas so your perfect day will be captured exactly as you want to remember it.